James inherited his passion for homemade food from his mother and grandmothers and his ability to pair unique flavors from hanging around his family’s wine company. As his tastes evolved, James found his passion for charcuterie while serving as an apprentice to Chef Josh Wickham at Rocky Fork Hunt & Country Club in Gahanna, Ohio, during which time James was awarded “Apprentice of the Year” by the American Culinary Federation, Columbus Chapter. He began to experiment with various forms of cured meats and salamis using a homemade curing chamber he built in his mudroom. James was attracted to charcuterie because of his earlier education as a sculptor and his appreciation for old world craftsmanship.  James is the certified charcuterie Chef of North Country Charcuterie. James attended college in the North Country of the State of New York, and lived in a yurt in the middle of the Adirondacks for 6-months. Jane passed on her love of great food to her sons and is thrilled to be joining them on this cured meat adventure. She brings a wealth of business knowledge and aesthetics to the company having started and run two other successful companies in executive search and garden design. When Jane was a teenager, she spent several summers wrangling cows on a ranch in Montana and sailing the lakes of Maine. Duncan is the designated taste tester and salami seller at North Country Charcuterie. He has a background in management and business development from when he lived in Colorado and The Netherlands. He’s excited to be back in the Buckeye State to cure a company with his brother. Duncan used to guide canoe expeditions in Northern Ontario and the Boundary Waters of Minnesota. Bill is a meat man. He started in the meat business at his parents’ grocery store in Colerain, OH, standing on a milk crate to see over the counter and help customers. While attending The Ohio State University, he worked at the OSU Meat Lab and for Village Packing Company in Columbus, OH. After receiving his Bachelor of Science in Agriculture, majoring in Animal Science with a specialization in Meat Science, he returned to Colerain to join the family business. For various reasons the family business did not work out which led Bill to a 33-year career with Kroger, mostly in the Columbus Meat Merchandising department, from which he retired in 2016. Bill loves meat so much that he came out of retirement to join the Salami Squad in February 2018. He also occasionally assists with OSU Meat Science classes and with the Ohio Meat Processors Association Convention. When he’s not at North Country Charcuterie, he’s at home smoking, cooking and curing more meat (for fun) and working in his garden growing Giant Pumpkins.